Look up avid sky watchers residing in parts of the Southern Hemisphere. 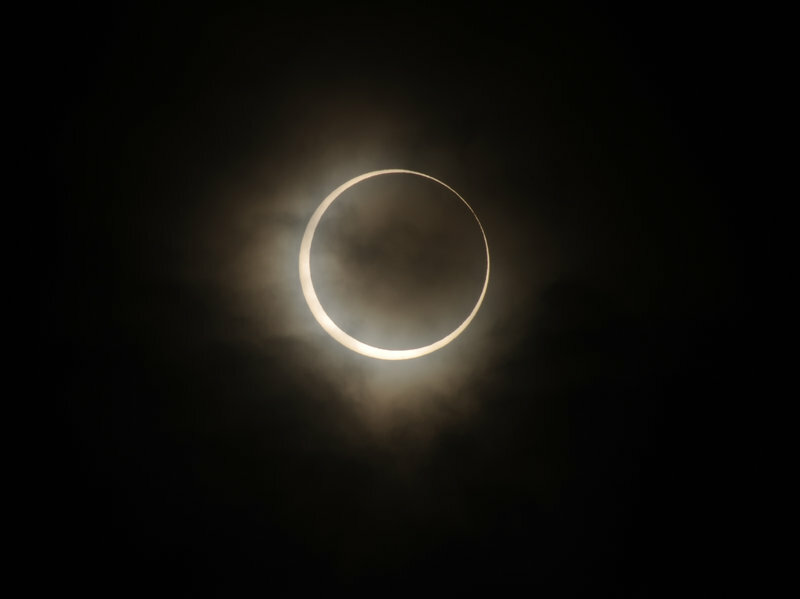 You will witness a spectacular ‘Ring of fire’ eclipse on Sunday, in just a few hours. The event will be caused by the Moon moving between us and the Sun and blocking our entire view to it. If you have good weather in southern parts of Southern America or Southern Africa then you will be able to view the event. But for the rest of us (me included), you can watch the event from the comfort of your home via the live stream below. The stream will start at 7AM EST on Sunday, 26th February 2017. Ten minutes into the stream the eclipse will be viewable in southern Chile. This ring of fire eclipse is called an annular eclipse and occurs due to the same reasons as a total solar eclipse. The reason as mentioned above is that the Moon moves in between the Sun and the Earth and blocks our view to it during the course of its orbit around the Earth. The event will be visible above “parts of the Southern Hemisphere, including Chile, Argentina and Angola,” NASA says. The difference is that unlike in a total solar eclipse, the Moon is too far away to completely block the Sun out and thus we see the very thin ring of fire that is visible to us. “Because you have this thin little ring around the edge of the Moon where the Sun pokes out, it gives it that ring of fire effect,” C. Alex Young, a solar astrophysicist with NASA, told Nicholas St Fleur from the New York Times. “It will quickly make landfall in southern Chile around 9:10 a.m. local time, and then traverse into Argentina. Sky watchers in Argentina will see approximately 97 percent of the sun covered by the moon for about a minute, according to [NASA astrophysicist C. Alex] Young. The reason that the Moon is too far from us is that its orbit is elliptical. This Sunday the Moon will be closest to the greatest distance away from the Earth (known as its apogee). Even though the Moon is almost at its farthest it will still be able to block up around 99 percent of the Sun in its thin path known as the path of annularity. “Instead of a reddened ball, the Sun will resemble a fiery hoop,” writes Joe Rao for Space.com. Even outside the path of annularity, people will be able to see parts of the event. If you’re in Western or Southern Africa, lower two-thirds of South America or most of Antarctica you will be able to see a part of the annular eclipse. The only difference will be that you will see the sun as if somebody’s taken a huge bite out of it instead of as a giant ring of fire. Those lucky enough to see the event firsthand should protect their eyes, “You can NEVER look directly at the sun, and an annular eclipse is no exception!” NASA warns. The space agency has put out a few tips you can use to view the show without damaging your eyes in any way. Do watch this cool event and do let us know your experience in the comments below.